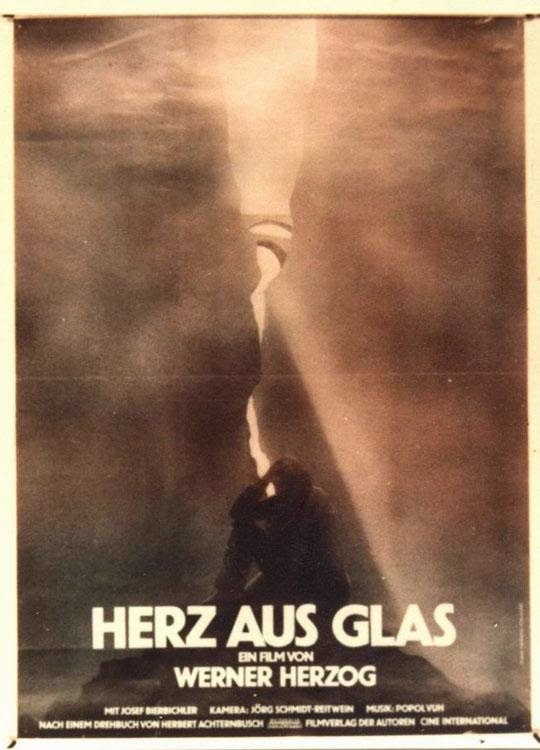 Werner Herzog’s Heart of Glass was shot under very unusual circumstances. The tale of a town plunged into chaos, it featured a cast that, with one or two exceptions, performed the entire movie under hypnosis! I first saw the film over 10 years ago, and though I found the premise, as well as the execution, utterly fascinating, I did have one slight problem: Heart of Glass kept putting me to sleep! It wasn’t that it moved too slowly (I knew going in Herzog wasn’t a director who specialized in fast-paced films), or that I thought the story was boring. The issue was the performances, specifically the way the actors slogged through the movie in a trance-like state (which makes sense, I guess, seeing as they were in one). Watching them wobbling back and forth when they're supposed to be standing still and reciting their lines with all the passion of a paper doll was more than I could bear. In a month’s time, I’d tried to watch Heart of Glass on 3 different occasions, and in every instance, I was in La-La Land by the half hour mark. Set in Bavaria in the 18th century, Heart of Glass focuses on a small community thrown into turmoil when the man who runs their glassblowing factory abruptly dies, taking with him the formula for making the beautiful ruby glass the town has become famous for. With his village on the brink of financial ruin, the local Baron (Stefan Güttler) does everything he can to duplicate the process, even going so far as to contact Hias (Josef Bierbichler), a mountain man with extra-sensory perception, who he hopes can help him figure out the formula for the ruby glass. But all Hias can see is the town’s ultimate demise, going so far as to predict the glassworks factory will burn to the ground before the evening is out. Like almost every Herzog film, the imagery in Heart of Glass is stunning, with the director finding a way to blend even the most sensational scenes into the narrative. As the movie opens, Hias is describing a dream he’s had, and as he does so, Herzog inserts some breathtaking shots of a waterfall, supported by Popol Vue’s often poignant, yet occasionally jovial score. This sequence, as well as many others, gives the picture an almost dream-like quality, a trait that extends to the characters as well. As mentioned above, the cast (aside from Bierbichler and the extras working at the glassblowing factory) was hypnotized, which, as you can imagine, resulted in a few very bizarre performances, with even the simplest things (like walking across the floor or carrying on a conversation) requiring intense concentration on the part of the actors. According to Herzog, the hypnotism was used to give the townsfolk the appearance that, due to the imminent death of their village, they were sleepwalking through life. While he does accomplish this to a degree, there are also moments when the performers allow their trances to get the better of them (at one point, the camera closes in on Clemens Scheitz, who plays the Baron’s elderly assistant, doing so just in time to catch the actor’s eyes rolling into the back of his head). A hauntingly gorgeous motion picture, Heart of Glass also provides viewers with a unique experience that, while not perfect, is intriguing enough to warrant attention.